Home / Opinion / Blogger and Webmaster: "The Opposition’s only REAL goal is to SABOTAGE the Philippine economy." Blogger and Webmaster: "The Opposition’s only REAL goal is to SABOTAGE the Philippine economy." Popular blog site, Get Real Philippines with it's anonymous yet known writer, Benigno, once again posted a very striking opinion regarding the Philippines opposition and their undying efforts to destabilize the present administration. According to Benigno, the Philippine Opposition's solitary objective is to sabotage the Philippine economy and proof of composed endeavors to incite instability of government, appears to have been climbing these past few weeks. The writer then identified these destabilization crusade, one by one, which is being carried on by the Opposition drove by the Liberal Party, in their attempt to accomplish their alleged bizarre objective of securing power for the sake of power. 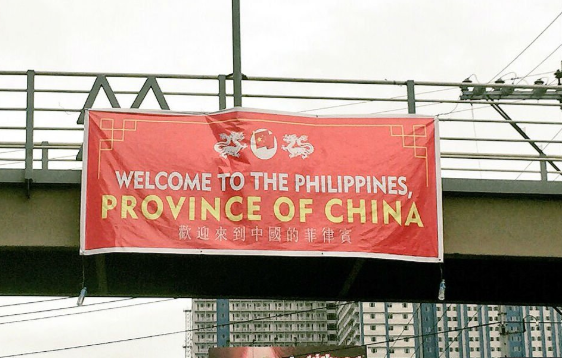 The most recent as per Benigno are the banners spread out on highly-visible sites that display the words “Welcome to the Philippines, Province of China”. Likewise, these oppositions and their communist allies, according to Benigno, are not above devastating to the Philippine economy even as a huge number of Filipinos endeavor to keep it chugging along, so as to keep Filipinos ignorant, insecure, and confused. "The Philippine Opposition’s only REAL goal is to SABOTAGE the Philippine economy"
Evidence of organised efforts to foment instability (or at least the perception of it) seems to have been mounting in recent weeks. First is the spate of labour “activism” that was accorded substantial media mileage by the Philippines’ Big Corporate Media. Second is a demonisation campaign against China and its citizens which inadvertently is causing collateral damage to the Filipino Chinese community who find themselves caught in the crossfire of ill-thought-out “news” reports. Most recent is a set of expensive-looking banners unfurled on highly-visible sites apparently along the route to be traversed by busloads of Chinese visitors the other day. The banners display the words “Welcome to the Philippines, Province of China” which can be interpreted in many ways specially taking into account the inconsistent meaning of the English words to the Chinese characters included in these banners. These are, of course, all on top of the general din of the banal destabilisation campaign being carried on by the Opposition led by the Liberal Party (a.k.a. the Yellowtards) who, for lack of any vision for the Philippines, gavitate down the easy path of quibbling on the trivial and superficial. 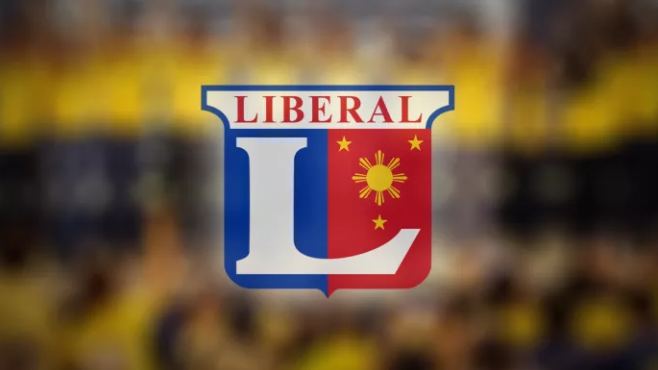 The “issues” the Yellowtards seem to focus their chatter around don’t extend beyond grammatical and spelling gaffes, the use of generic memes and GIFs on social media as crutches to mask their lack of articulation skills, and making sophomoric “analyses” on the back of unsound logical inferences that are then lapped up by followers who lack critical evaluation skills. The underlying thing that is notable amidst all this is how the Yellowtards are working closely with elements of the Communist Party of the Philippines in opposing the government of Philippine President Rodrigo Duterte. Many of the labour protests covered by Media have a common denominator — they are all supported by the usual suspects: communist-infiltrated “activist” organisations that draw their supply of warm bodies and hollowheaded “idealists” from university campuses across the country. This is evident in the familiar red flags being waved amidst rallying crowds and protest marches, the familiar “US-[insert name of current president here] Dictatorship” slogans being chanted, and the same personalities who have made “careers” out of leading these rallies. 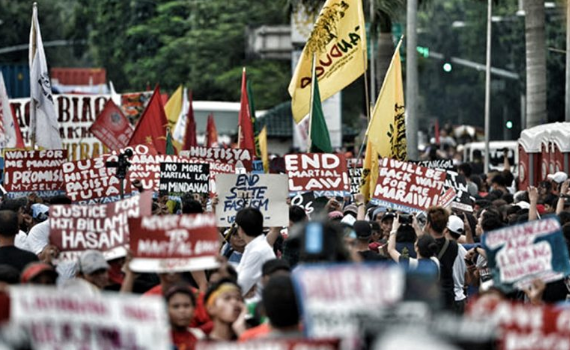 Filipinos should recall that communists have only one mission — the violent overthrow of “reactionary” governments and the establishment of a Dictatorship of the Proletariat. Right there is a modus operandiconsistent with the events unfolding today. The alliance between the prayerful Yellowtards (supposedly moderate liberals who are a bit confused by their religious conservativsm) and the atheist communists may seem counterintuitive at first on an ideological level. But this is, after all, the Philippines where loyalties to personalities overwhelmingly trump ideological sensibilities hands down. Thus it is not surprising that the unifying personality in all this is none other than the late Benigno “Ninoy” Aquino Jr who was known to have strong links with Filipino communists and, at the same time, is the founding “martyr” of Yellowtardom. All this explains why the Yellowtard-led (and, by association, communist-led) Opposition cannot seem to be bothered to offer a vision and prospectus alternative to the Duterte path. It is because they already have a singular motive — to grab power the communist way, through yet another “revolution”. In this light, it is easy to see why no priority had so far been given by the Philippine Opposition to crafting a coherent and legit strategy to acquire power legally (i.e. by winning an election). They do not even bother to put up a credible and competent leader and, instead, have opted for the lame-duck “vice president” Leni Robredo to front up for them. In this effort to achieve their singular goal of acquiring power for the sake of power, the Yellowtards and their commie allies are not above laying waste to the Philippine economy even as millions of Filipinos work hard to keep it chugging along. They are doing this by inciting labour unrest, undermining investors’ confidence by creating an atmosphere of political instability, creating division rather than unity around practical goals, and encouraging the application of primitive religious thinking rather than modern scientific critical thought. To keep Filipinos ignorant, insecure, and confused is what the Yellowtards and their commie allies really want. And they plan to acquire power on the back of all that.